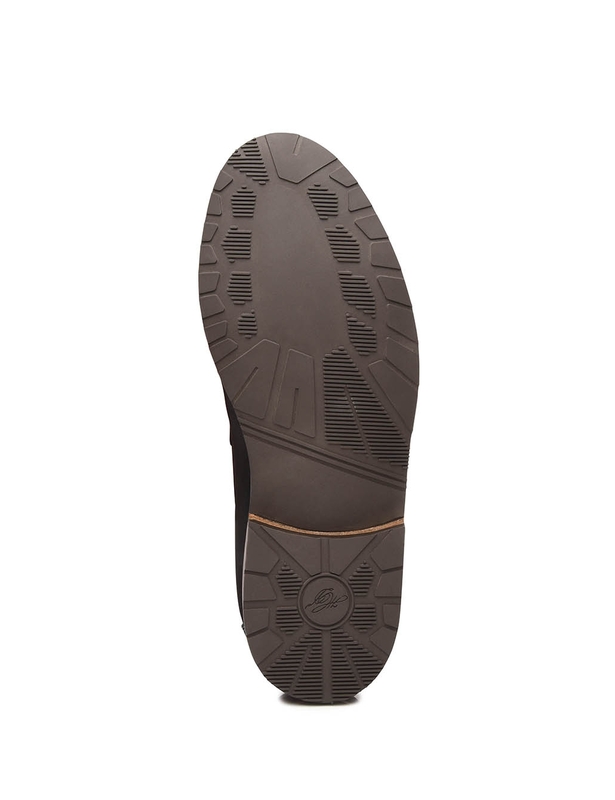 Double Sole with Flexible Rubber Sole A water-repellent and extremely flexible rubber lug sole reinforces the thin leather midsole. 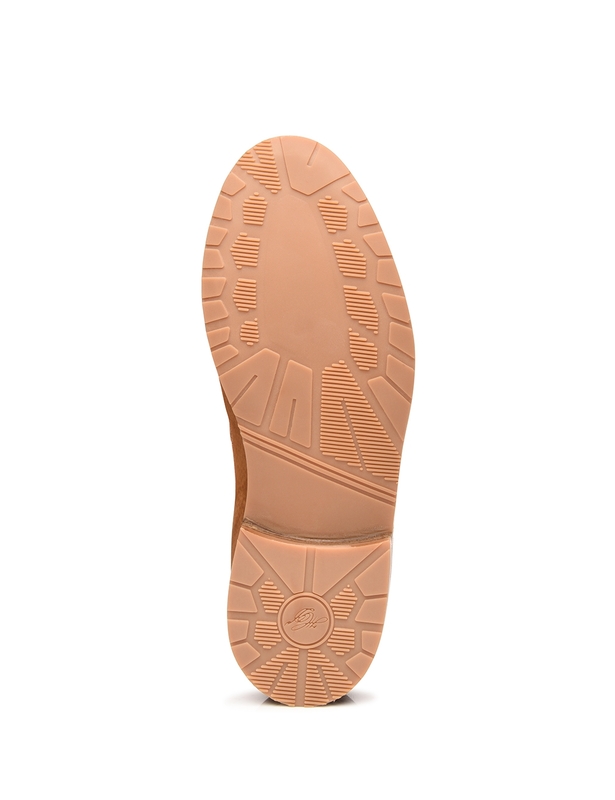 This double sole is perfect for warm weather. 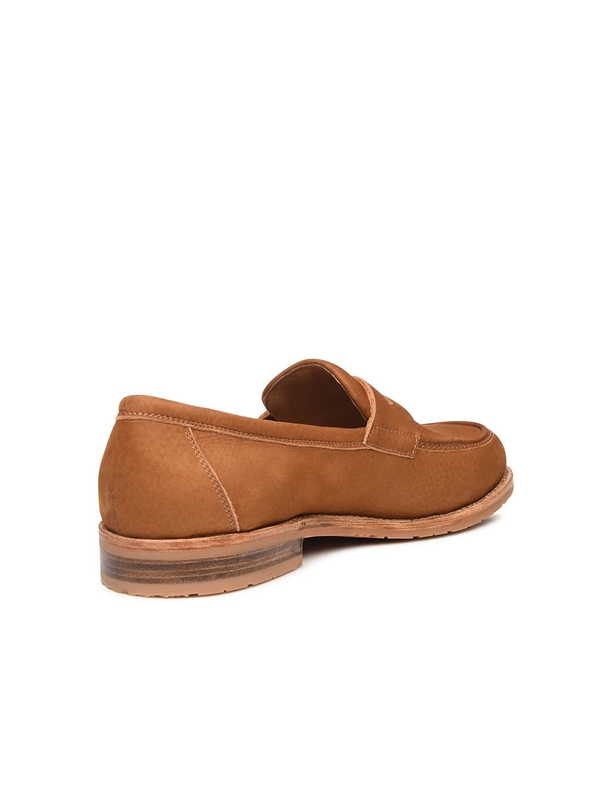 A handcrafted model that is ideal for warm days, this traditional slip-on shoe with a wide-cut opening at the top of the shaft boasts a lightweight, summery feel and a sophisticated look. 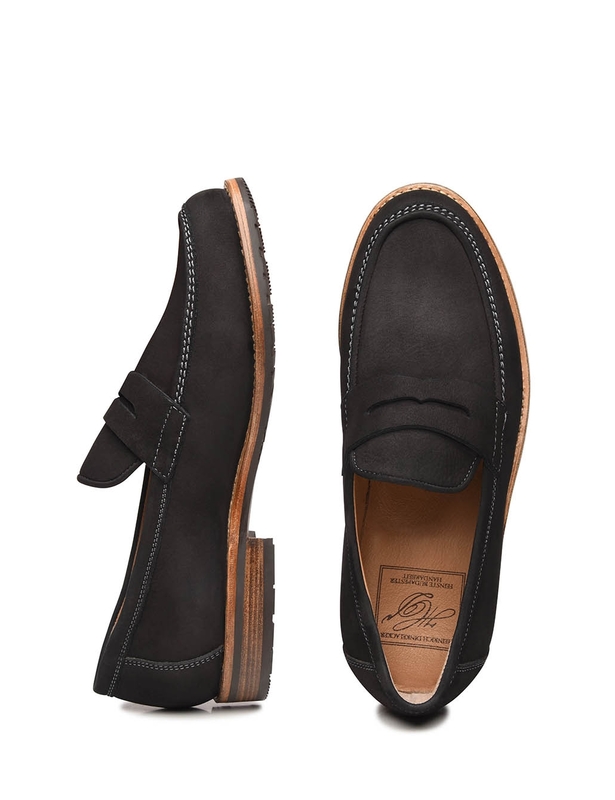 Trademark details include a U-shaped vamp insert on the upper, accompanied by a hand-stitched double seam, as well as a traditional strap at the instep. 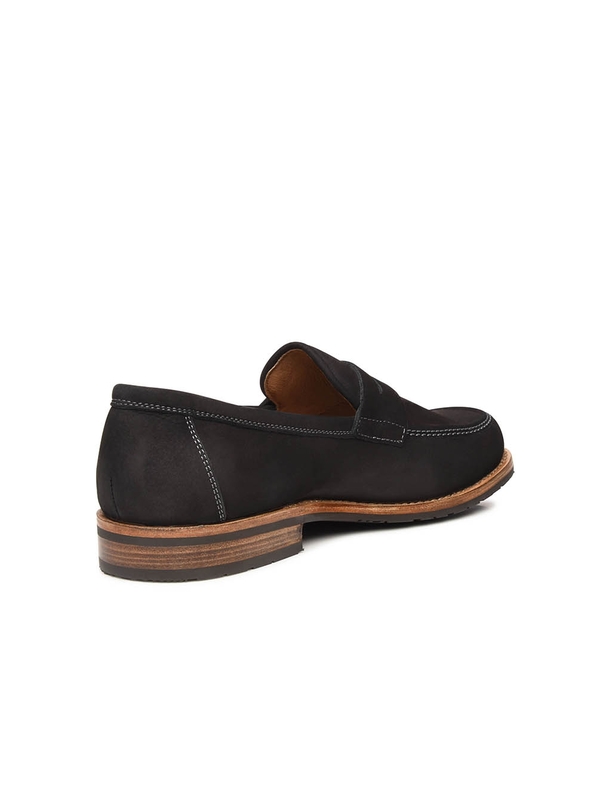 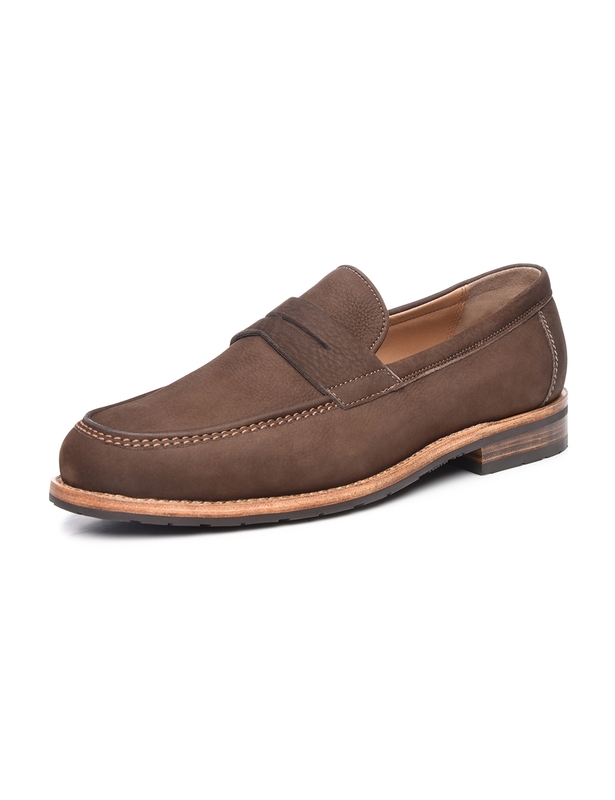 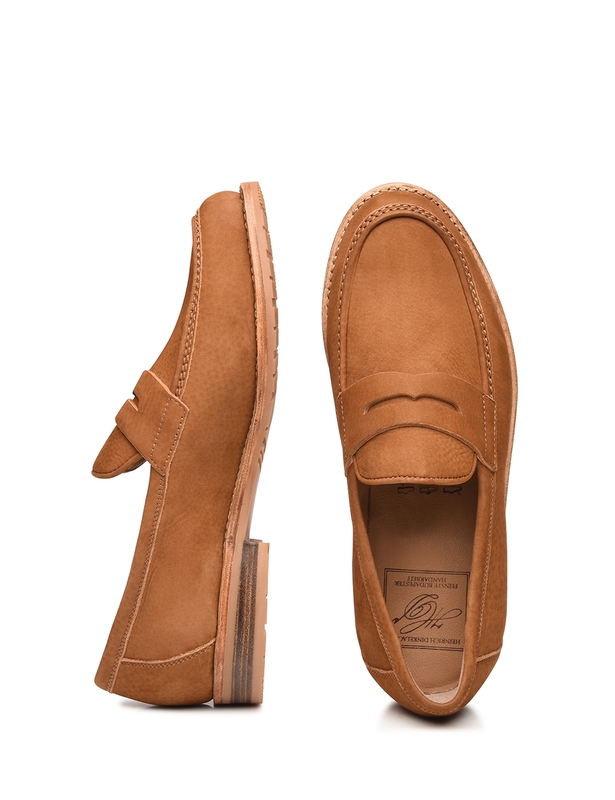 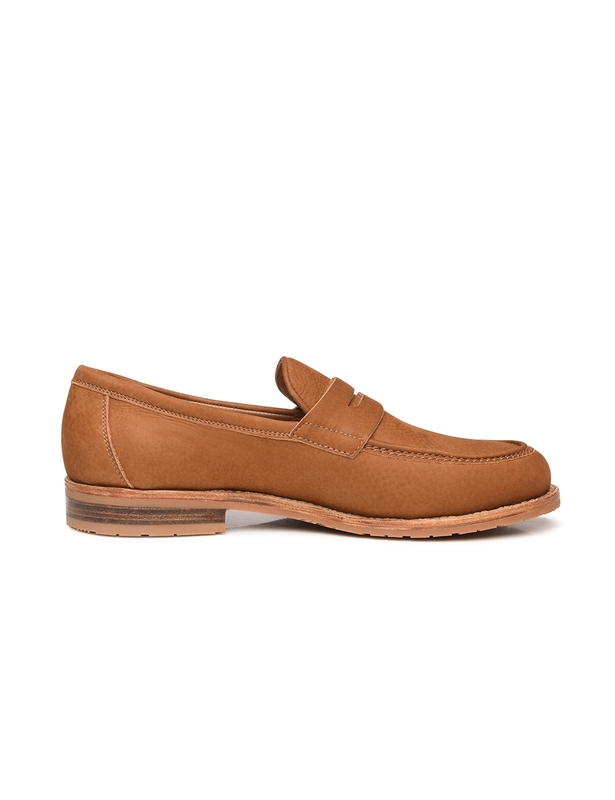 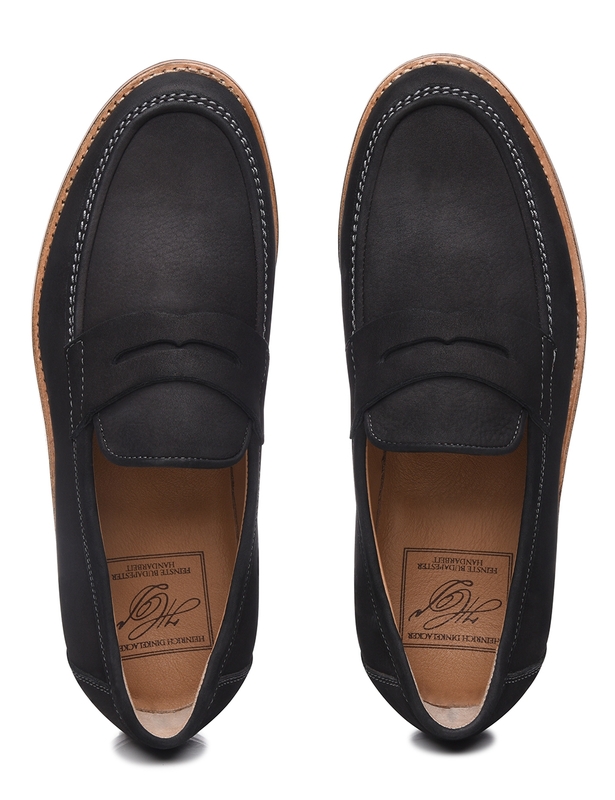 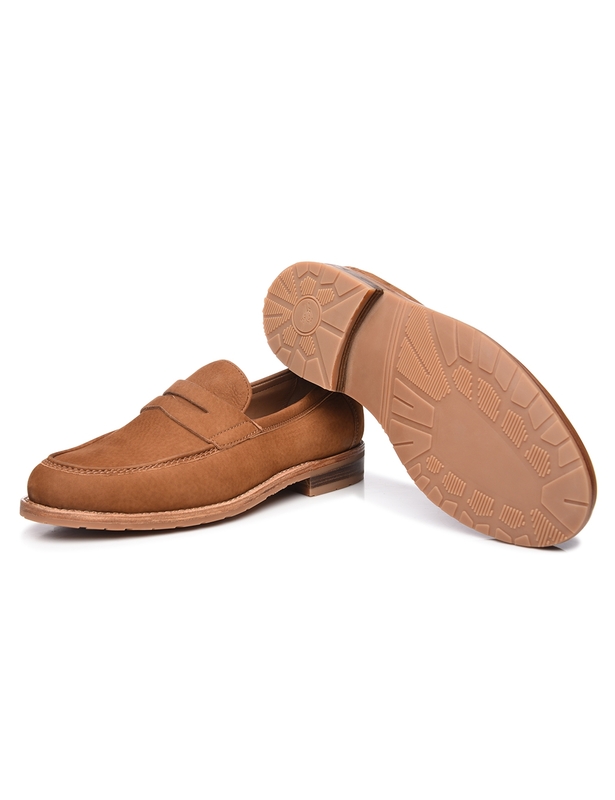 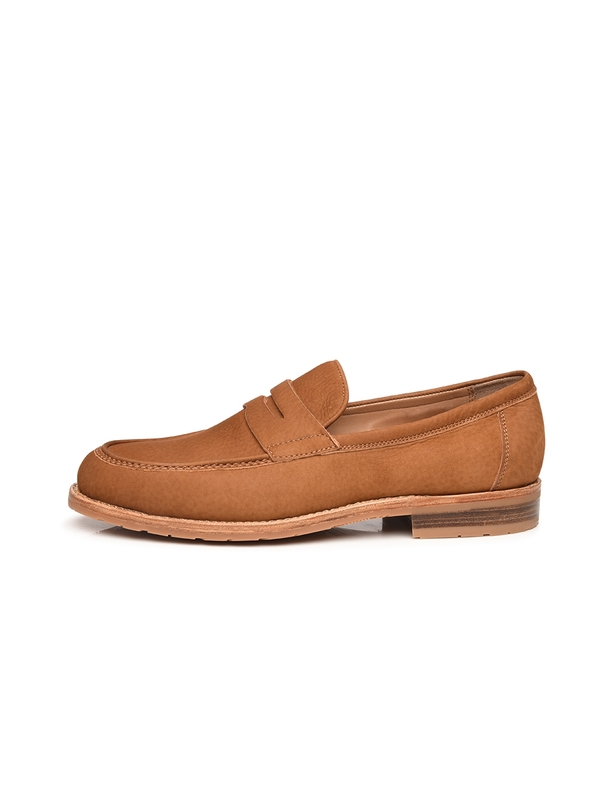 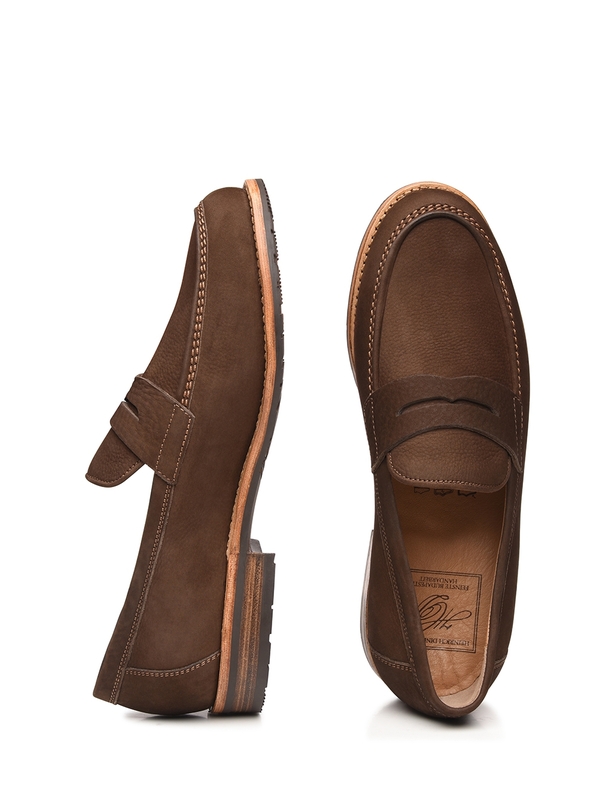 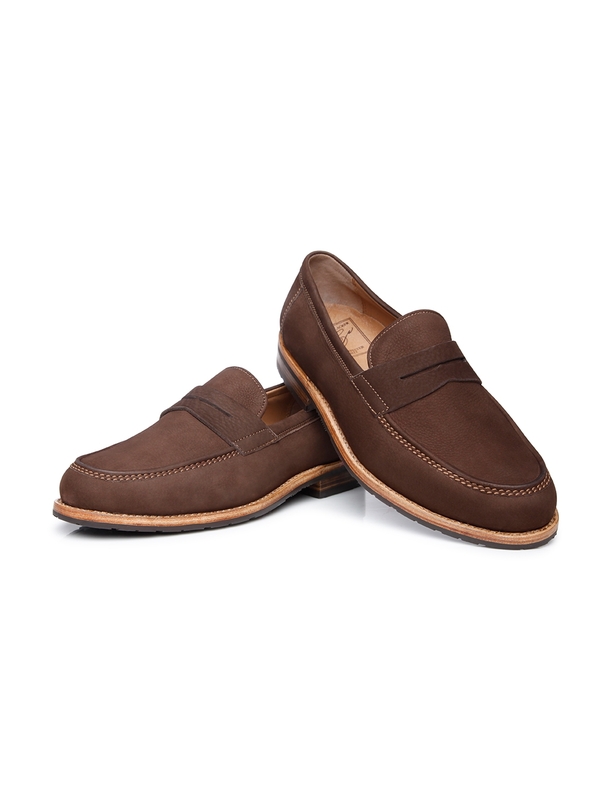 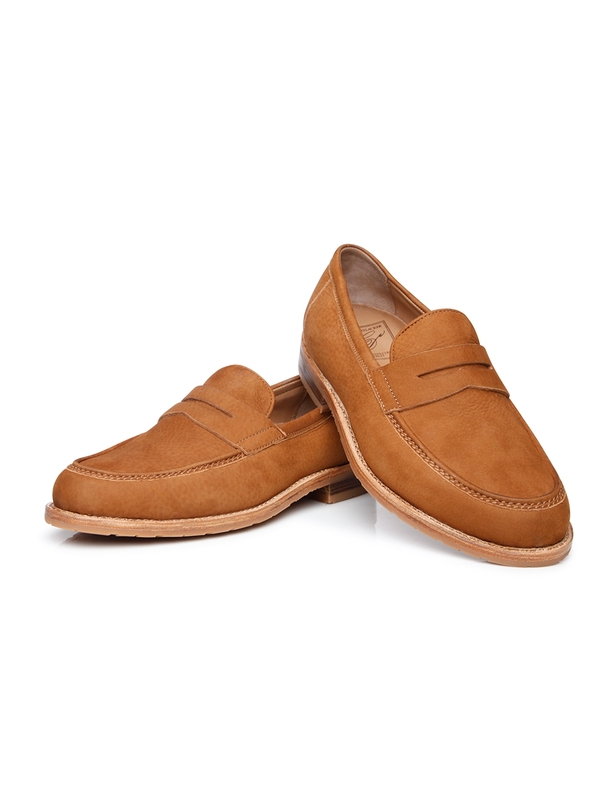 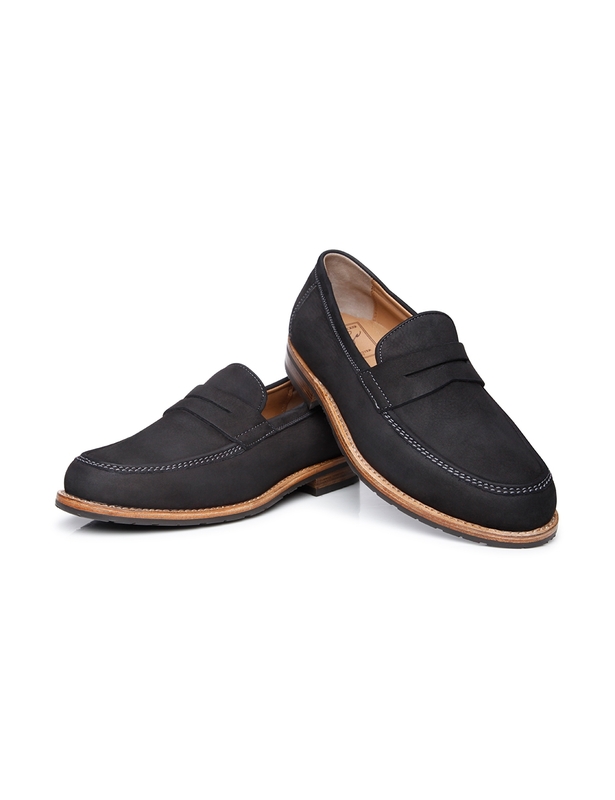 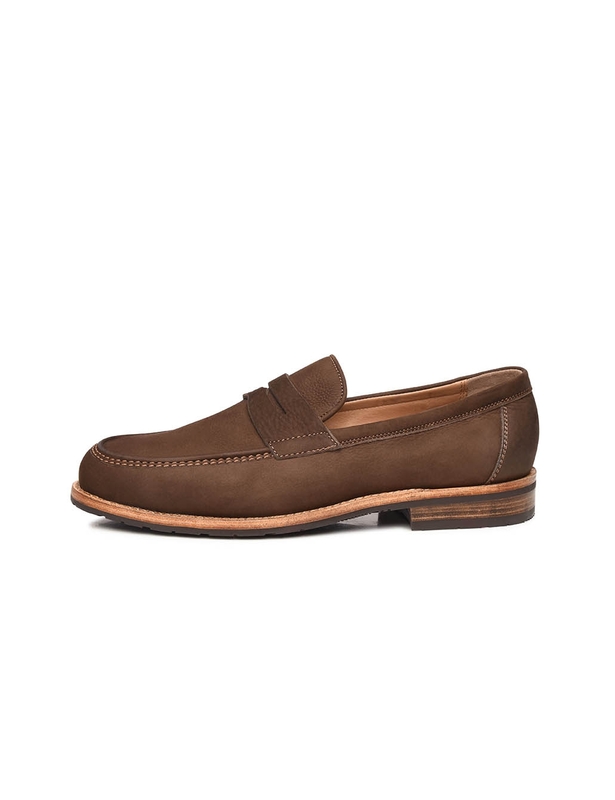 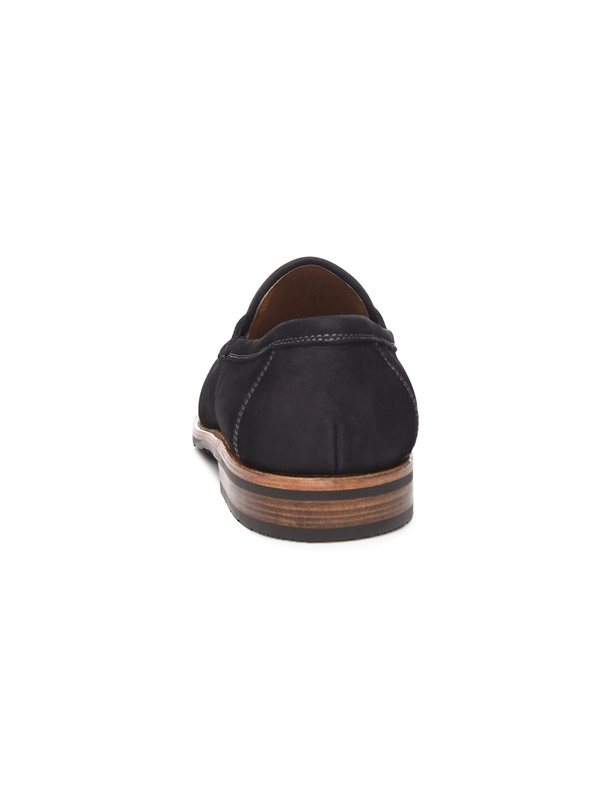 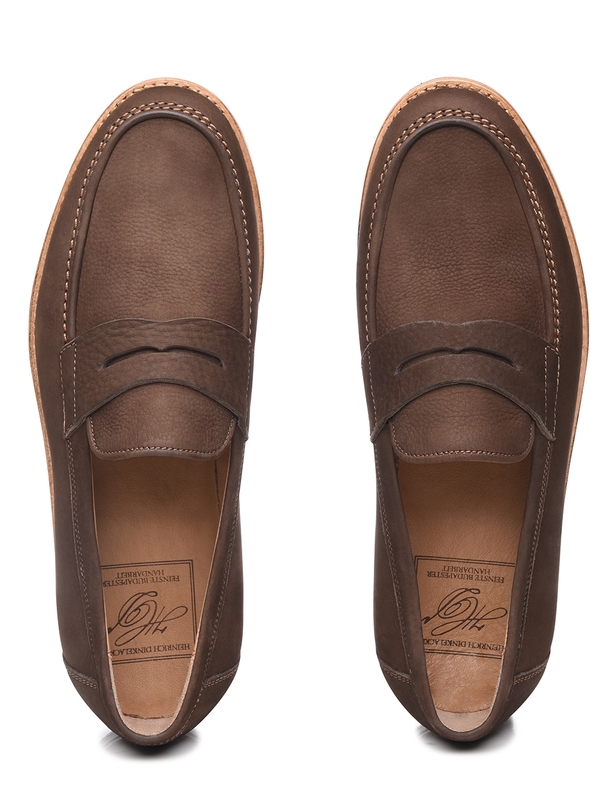 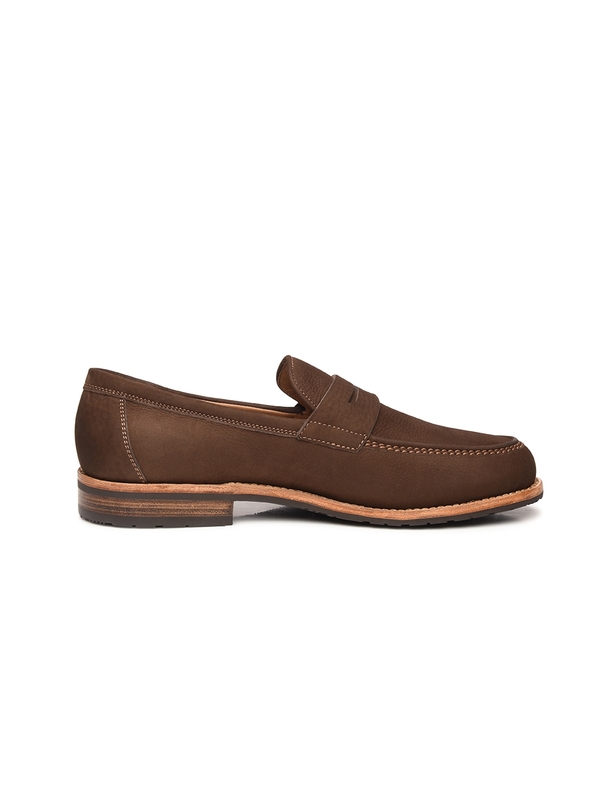 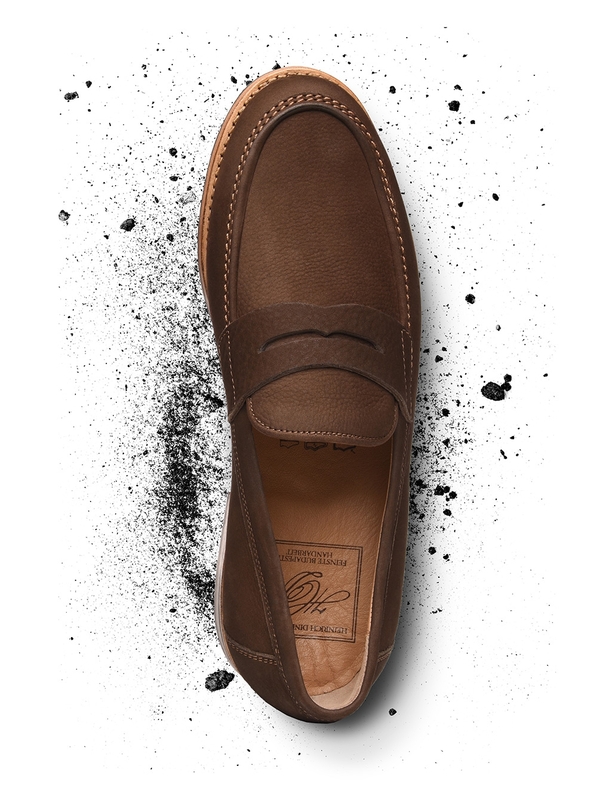 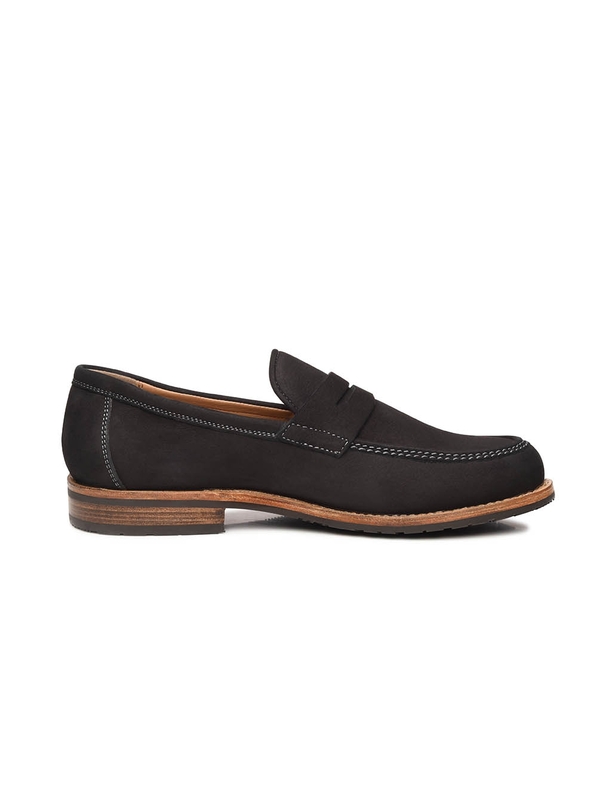 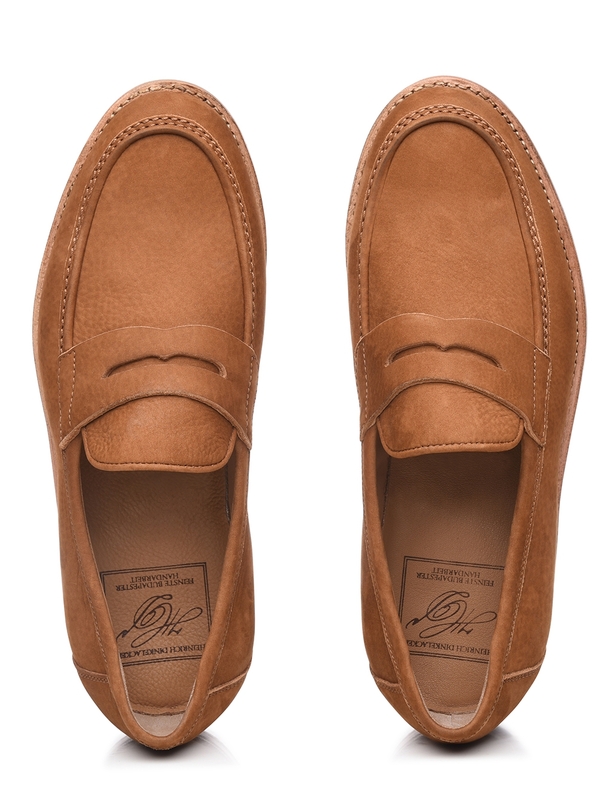 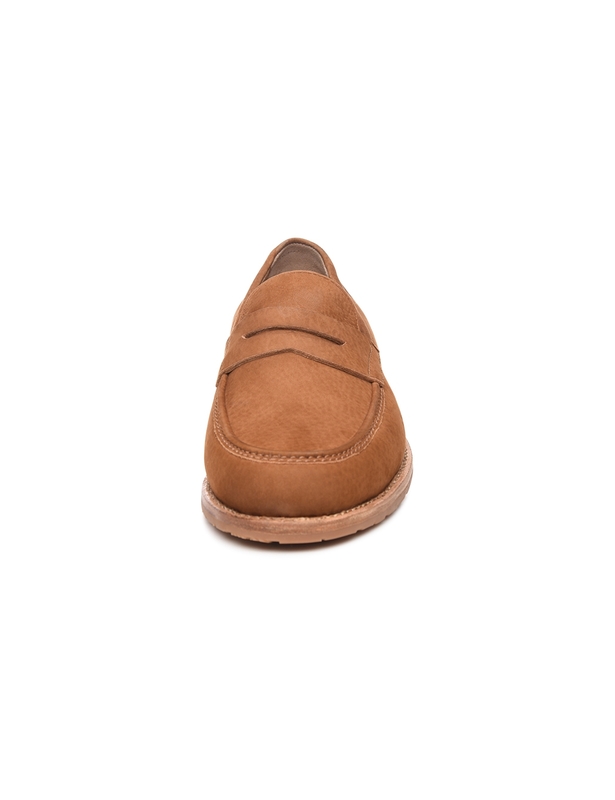 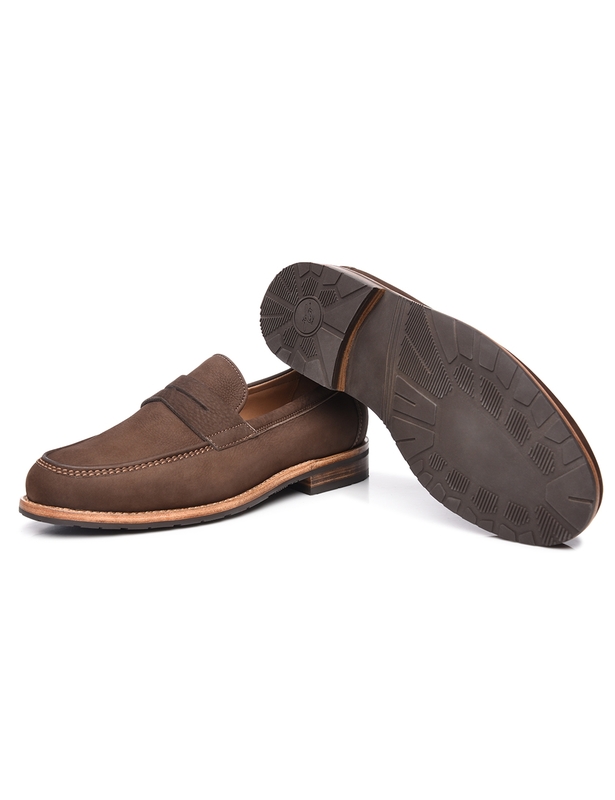 The shaft of the shoe is made from velvety-soft nubuck, which underscores this penny loafer’s air of modern nonchalance. 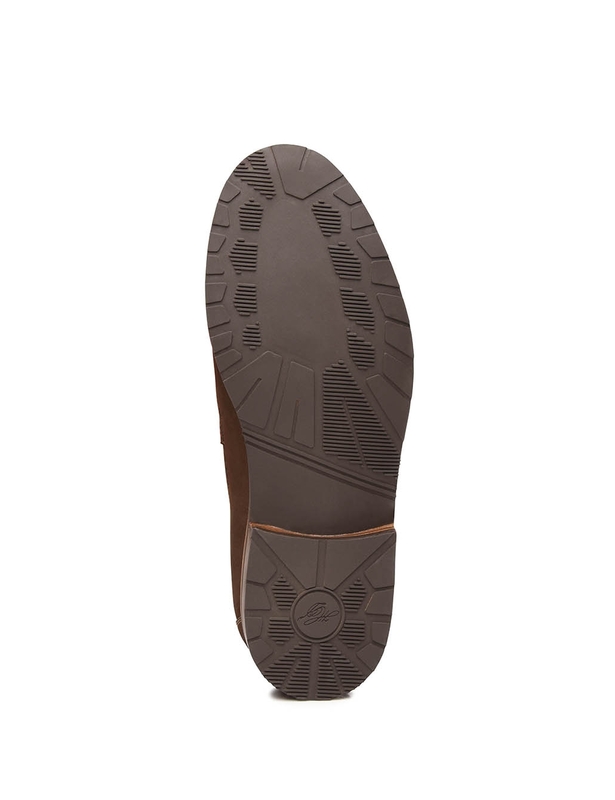 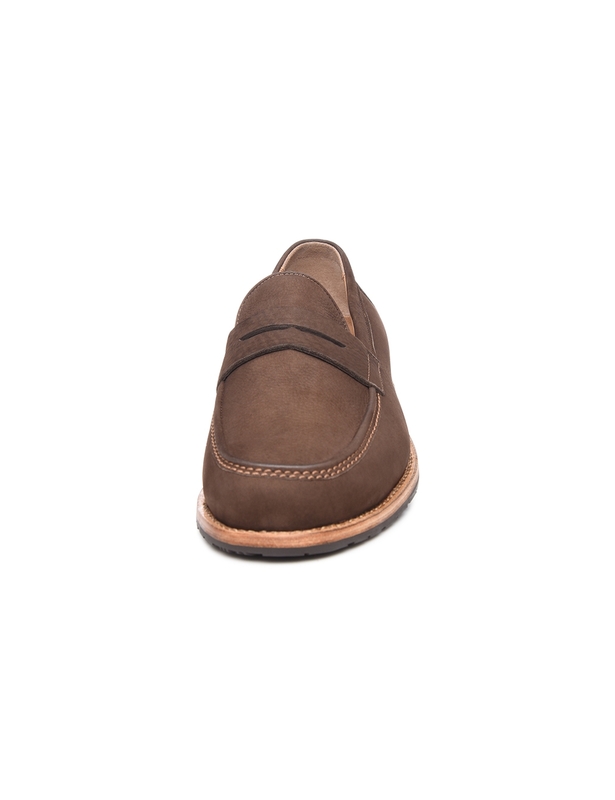 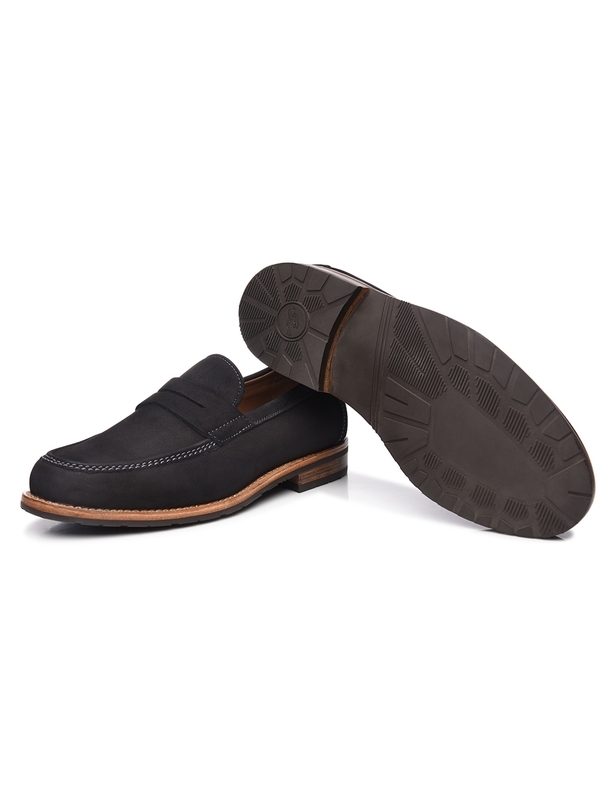 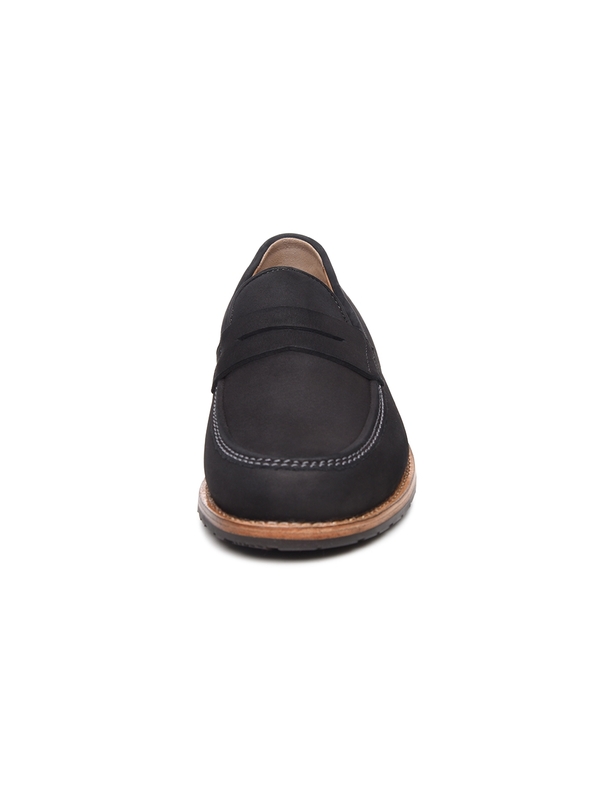 An rubber lug sole at the bottom protects the sophisticated leather midsole, ensuring firm traction for wearers, even on slippery surfaces Thanks to meticulous production and sophisticated materials, this slip-on shoe guarantees pleasant flexibility, a high fidelity to fit, and extraordinary durability.